Candidates who made Obafemi Awolowo University, Ile-Ife their first choice and took the Obafemi Awolowo University Post UTME are advised to check their names from the list of candidates admitted by the Joint Admissions and Matriculation Board (JAMB) on the Obafemi Awolowo University Website (www.oauife.edu.ng) or eportal.oauife.edu.ng and follow the procedures for registration as laid out. Confirmation of admission on the OAU website shall commence with the payment of nonrefundable acceptance fee of N20,000.00 (fresh students only). The social media community of the Obafemi Awolowo University has been flooded by the anxiety of resumption date and different news broadcast on resumption date for the 2015/2016 academic session. Students have remained in the dark regarding the new date of resumption which have been put to debate since the end of the 2014/2015 Rain semester exams due to several rumours and speculations going round on the 52 working days leave of ASUU. In a radio broadcast on popular Orisun Fm in Ile-Ife, the chairman of the Academic Staff Union of Universities, OAU chapter, Dr Caleb Aborishade affirmed that they've started their leave since 6th of April 2016, and will end on the 24th of June. He said the leave is necessary for the lecturers to take care of themselves. It was also stated in the release that there are just 9,500 bedspaces available in all halls of residence for more than 30,000 students in which freshmen coming in are about 7,500 with about 5,000 final year students. The implication of this is if normal procedure is followed, the total number of bedspaces available will not be sufficient for all the freshmen & final year students. It's been a long but short journey through the leadership of this prestigious university, and also as the first citizen of this our Demo-nation. Leadership, a very sensitive position that brings about interests, direction and concentration. Being a leader for a year deserves commendation not to talk of being at the periphery of affairs for five years ( without considering achievements and fulfilment ), it's worth it. The University of Port Harcourt, Port Harcourt was shutdown on Monday, 11th April 2016 following the violence that ensued after the Students of the institution protested an alleged policy made by the management of the University that the school fees must be paid before they would be allowed to write their first semester examination. The policy generated series of protest by the students which halted academic and administrative activities in the University. Professor Sunday Lale, the current Vice Chancellor of the Institution, was summoned by the students to address them and reverse the policy but the VC refused. However, the last staged protest before the shutdown was said to have lead to the death of two students of the university and injury of Six. One of the student deceased students identified as Peter Ofurun was said to have been hit by a bullet from a policeman and was a student in the Faculty of Management science before his untimely death. The latest development however confirms the suspension of the selection process owning to the court injuction gotten by SSANU and NASU. The tenure of the current Vice Chancellor, Professor Bamitale Omole will expire come June 23, 2016. 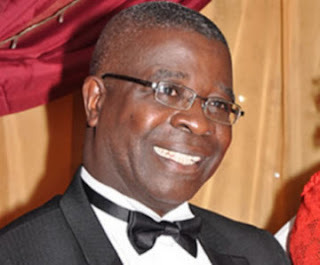 Moshood Olajide Odunayo has accussed some prominent political figures on OAU Campus of lobying the school management toconstitute Students Union Transition Committee (SUTC) next session. In a write-up authored by Moshood Olajide, titled "INVESTIGATION: HOW TY, AY TOES. KAY KAY, ATOM, DEPARTMENTAL PRESIDENTS, OTHERS LOBBY THE SCHOOL MANAGEMENT TO CONSTITUTE SUTC NEXT SEMESTER" and widely circulated among Great Ife Students, the OAU WIKILEAKS convener claimed that some "elements" have been hired by the school management and are being used to actualize the Management's aim of forming a SUTC instead of an independent Union, which according to him, is the wish of Great Ife Students. On Friday 11th of April a news release by a group called Student Leaders Alliance of Nigeria (SLAN) went viral on national dailies and websites. The group which is said to consist of former student leaders of the institution showered praise on the vice chancellor, Prof. Bamitale Omole, who they claimed is the best VC the school has gotten and should be celebrated. The group through their release passed a vote of confidence on the VC. However, students of the citadel of learning have been divided over the release. Some students have come out to criticize the VC. Some of the students has described the VC's tenure as an unforgettable one full of ups and down. A popular critic and student activist Emman O Emman described the VCs tenure as a disaster and he should bury his head in shame. He further noted that it is a sheer stupidity to congratulate the VC for what he has done during his administration. 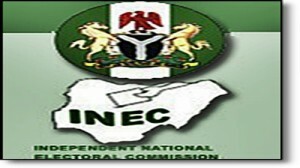 The Independent National Electoral Commission has declared the by-election ‎held at Ife Central State Constituency in Osun State inconclusive. The Returning Officer, ‎Dr Francis Oladimeji, who made the announcement after the collation of results from the 11 wards in the state constituency, said the result could not be declared because of the violence which led to the disruption of collation at two polling units. According to him, fresh election would be held on Sunday in the two affected polling units, Agbedegbede and Moore Ojaja, both in Ward Three in Ife Central State Constituency. He explained that the report of violence recorded at the two polling units led to the cancellation of 872 votes, saying the margin between the two leading candidates was 710, making it imperative to conduct a fresh election, as stipulated in the Electoral Act. Dr Oladimeji further explained that ‎the number of cancelled votes exceeded the difference between the two leading candidates.